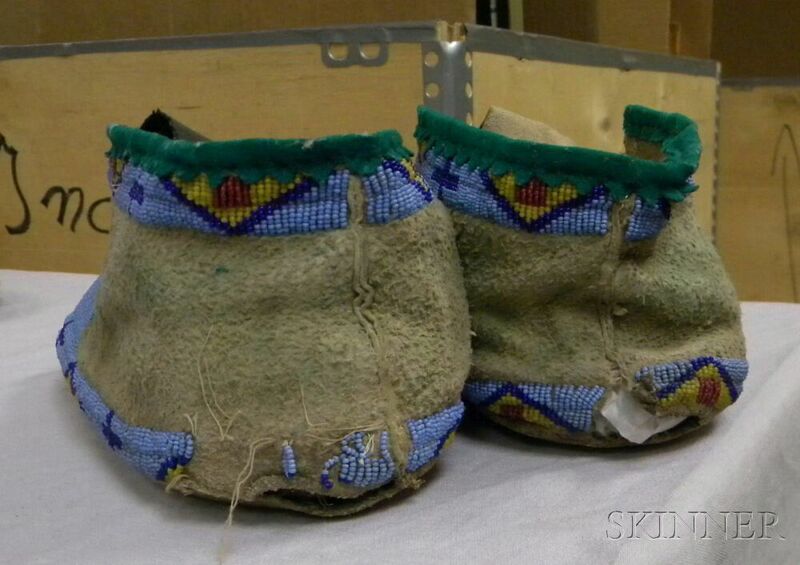 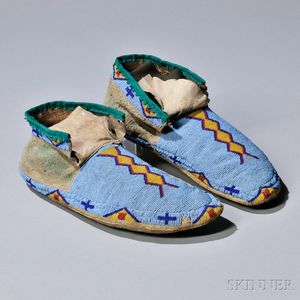 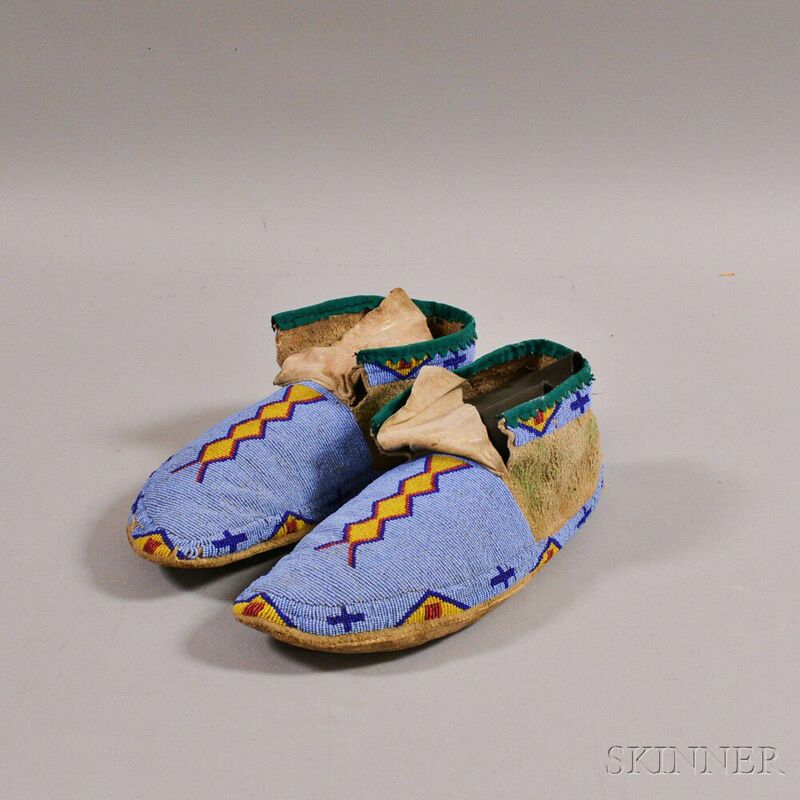 Blackfeet Beaded Hide Man's Moccasins, c. last quarter 19th century, with green trade cloth at the cuff and traces of red and green pigments, (damage, bead loss), lg. 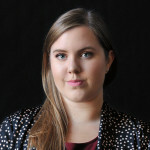 11 in. 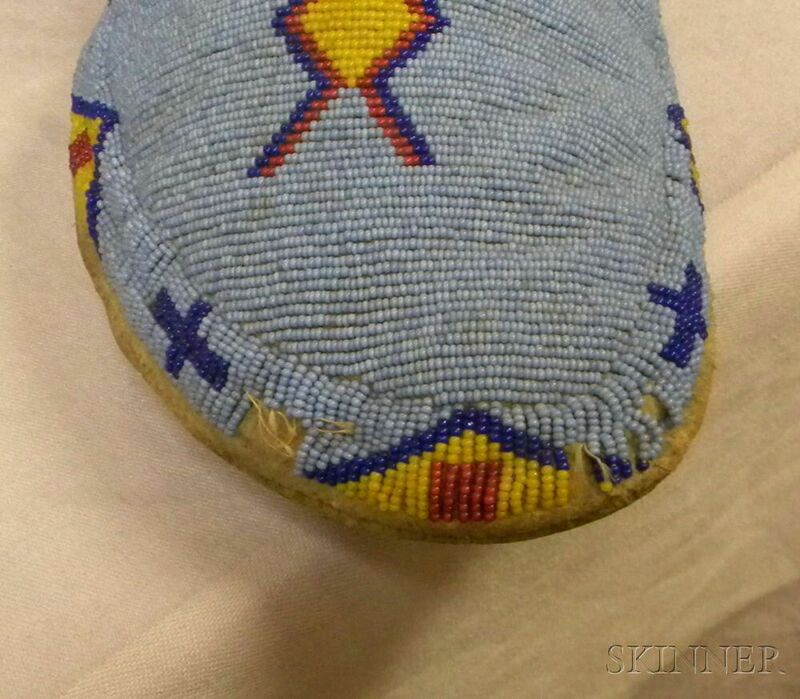 staining to the hide around the ankles, splits at the seems of the heels, one heel is with about an inch of missing beadwork, and there are a few other small areas of missing beadwork.